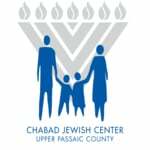 Thanks for being a part of Chabad of Upper Passaic County and sharing in our vision. Your donation enables us to offer an array of local programming throughout the year! Yes, please repeat this gift every month! Charge the above amount to my credit card each month for the next twelve months. In Memory of: Make a donation in memory of a deceased family member or friend. In Honor of: Make a donation in honor of someone who has inspired you or to celebrate a joyous occasion.